It must have seemed an odd notion at the time, particularly from Boulez, a composer and conductor who was the supreme avatar of the modern. Could it be that the artistic world of a composer who had died over six decades earlier, on the far side of two world wars and as many musical revolutions, might still seem so close? Could his nine symphonies be not only admired from a distance but held up as examples of an art that somehow articulated essential truths about the complexities and contradictions of modern life? How quaint to have wondered. This afternoon, New England Conservatory begins the final week of its semester-long “Mahler Unleashed’’ festival with a symposium whose title has a familiar ring: “Mahler: Our Contemporary.’’ Thirty years later, the question mark has vanished, the verdict has been returned. Mahler’s music is ubiquitous, perhaps more than ever during these last two years of anniversary tributes (the 150th of his birth, followed by the 100th of his death). The performances, box sets, and books just keep coming, though in truth, Mahler’s case by now requires no special pleading. All this extra anniversary attention has sometimes felt like the beam of a flashlight in the noonday sun. The rituals are familiar. Programs that include the Second, Third, Fifth, or Ninth symphonies draw audiences out in droves, conductors emerge as conquering heroes, and even a mediocre performance can trigger a frenzied response. That Mahler speaks our language is now clear. How and why he does so across the distance of a century is a more interesting question. At first blush, the sheer gigantism of the music may seem a strikingly poor fit for the age of the 140-character tweet. The very length and expansiveness of the symphonies set them apart, placing a listener on an island outside the normal flow of time. Of course within a Mahler symphony, time itself can be wonderfully plastic, as it is in all great music, with no relationship to the minutes and seconds dispensed by clocks. Surely I am not the only one to have sat through a red light longer than an entire Mahler symphony. But here as in so many aspects of Mahler’s art, the tensions at the core of this music seem to charge and expand its magnetic field. Mahler’s symphonies stretched tradition to its breaking point, but never further. Music of incredible fragmentation still manages to cohere, in part through the sheer force of Mahler’s personality. As such, Mahler’s more triumphant symphonies offer access to a highly attractive myth, that a listener can also live within this tension, that a world in small pieces does not have to mean a broken world. Time is not the only plastic element of Mahler’s art; there is also that pesky little subject of meaning. The symphonies greet the listener with a vast panoply of sounds: violent marches, vulgarized popular tunes, ironic waltzes, the sensual burbling of a natural world not yet alienated, and of course, all those beautifully nostalgic slow movements that in retrospect seem to glow as if lit by the sunset of empire. To a rare degree, this teeming music has allowed successive generations of champions and critics to draw from it a set of radically divergent conclusions. His early-20th-century admirers - Schoenberg, Berg, and Webern - heralded the modern edges of his music, finding his attacks on tradition an incitement to their own aesthetic revolutions. 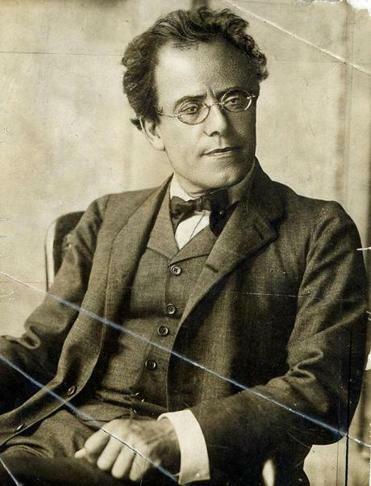 Many decades after his death in 1911, Mahler could be recruited as a kind of postmodernist avant la lettre, toppling hierarchies to embrace the high and the low, the refined music of the concert hall and the chaos of the city square. Mahler’s reputation ebbed in the middle decades of the 20th century, as music of late-Romantic grandeur fell out of fashion, unless you were a totalitarian dictator bent on harnessing it for political ends. Conductors like Bruno Walter and Dmitri Mitropoulos kept the flame alive, but the success of their efforts seemed to pale in comparison with the Mahler advocacy of Leonard Bernstein, who entered with the cultural winds of the 1960s at his back. However dated Bernstein’s hyperbolism may seem when viewed with the coolly ironic distance of today, he strengthened the idea that Mahler’s music was about our world, was contemporary music, in its content if not its form. And yet, if Mahler still speaks directly to many listeners long after Bernstein’s own advocacy is itself part of the history books, I think a large part of that appeal also lies in the psychological dimensions of his art, the sense of music disclosing the experiences of a self in the world. The titles that Mahler assigned (and then retracted) from his Third Symphony make this point most bluntly - “What the Animals in the Forest Tell Me,’’ “What Humanity Tells Me,’’ “What Love Tells Me’’ - but elsewhere the connections seem just below the surface. In this sense, he is a composer well-suited to the current cultural moment, one whose emblematic literary genre is not the novel but the memoir. Creating art so closely allied to his own experiences opened him to criticism: Was this a kind of narcissism of symphonic proportions? But in Mahler, the “universality,’’ such as it is, appears through the gateway of the particular. One need hardly have walked in his shoes to hear in his music an invitation to personal identification, to the linking of our own private narratives. Each of his symphonies has at least one moment that seems to address the audience not as a massed public but as collection of individuals, together but alone. The remarkable closing pages of the Ninth Symphony, in which the music drifts slowly yet ineluctably towards silence, is only the most famous of such moments. And Mahler’s art is psychological not only in its confessional, personal tone but also in its implicit belief in the vertically stacked layers of the self. Music of pure childlike naivete exists alongside pained depictions of adult suffering. In these scores, older acquired confidences rarely replace the insecurities, joys, and primal fears of youth. They seem to all live on simultaneously in different compartments of the soul. Mahler once actually consulted with Freud during a walk on a beach in Holland. Yet his music was from the start so psychologically attuned that if their brief encounter were a detail in a historical novel, it would seem all too obvious. It matters that Mahler wrote from this liminal moment in history not least because it enabled one of his signature achievements: to access the grand musical language of the 19th century and use it to depict the complex interior world of the modern self as it was just coming into view. Mahler’s music is ubiquitous today in part because it still addresses so many unarticulated needs of everyday listeners: for the elevation of private struggles onto a mythic-heroic plane, for the transformation of loss into something less sharp-edged and brittle, and ultimately, for the exceedingly useful proposition that the fragments can still hold without a center. Boulez and Bernstein made their cases eloquently. We might add that Mahler is our contemporary because we won’t let him be anything else.